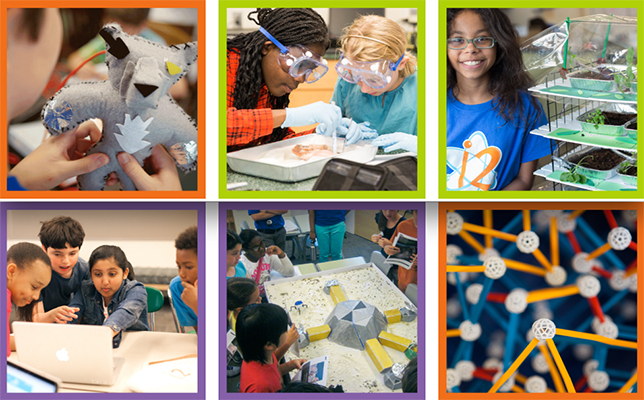 Next month, about 6,500 middle school students in Boston, MA will participate in Boston STEM Week. The first-of-its-kind initiative brings hands-on STEM curriculum developed by Massachusetts Institute of Technology (MIT) and other organizations to 36 middle schools in the Boston Public Schools district, with plans to reach 2,000 schools by the end of 2020. From Oct. 3–7, participating BPS middle school classrooms will be transformed into learning labs, where students and teachers will work in teams to solve real-world problems through hands-on experimentation, critical thinking and collaboration. Regularly scheduled classes will be replaced with about 20-25 hours of STEM curriculum. Urban Farming, where students will explore the impact growing population has on the global food supply, and design and test their own irrigation systems. In addition, volunteers from local STEM corporations will visit the middle schools and discuss their careers. On the last day, each school will hold a showcase for friends and family and discuss their projects created throughout the week. Boston STEM Week is fully funded through foundation and corporate support. The platform is expected to reach 2,000 schools, 20,000 teachers and 500,000 students by the end of 2020. A full schedule of events for the week and additional details can be found on the Boston STEM Week site.